In his letter to the Romans, the apostle Paul begins by describing a spiritually dysfunctional humanity (1:18–32). We are all part of that rebellious company: “All have turned away, they have together become worthless; there is no one who does good, not even one. . . . For all have sinned and fall short of the glory of God” (3:12, 23). Through the Holy Spirit we receive daily strength to honor God in what we say and do and to “put off [our] old self . . . to be made new in the attitude of [our] minds; and to put on the new self, created to be like God in true righteousness and holiness” (Eph. 4:22–24). Lord, in our dysfunctional lives we turn to You for restoration and strength. Thank You for Your amazing grace and love! Drawing close to Christ helps us to live as He designed us. INSIGHT:Love, joy, peace, patience, kindness, goodness, faithfulness, gentleness, and self-control are the fruit the Spirit grows in our lives because we “belong to Christ Jesus” (Gal. 5:22–24). In what area can you ask the Spirit to help you grow? In today’s passage from Revelation 19, we see Jesus exalted as the King of Kings. He is shown returning to earth to rescue His people, judge the wicked, and set up His kingdom. As heaven opens, Christ rides out on a white horse in power and great glory. This appearance is nothing like His quiet arrival in Bethlehem as a helpless baby. 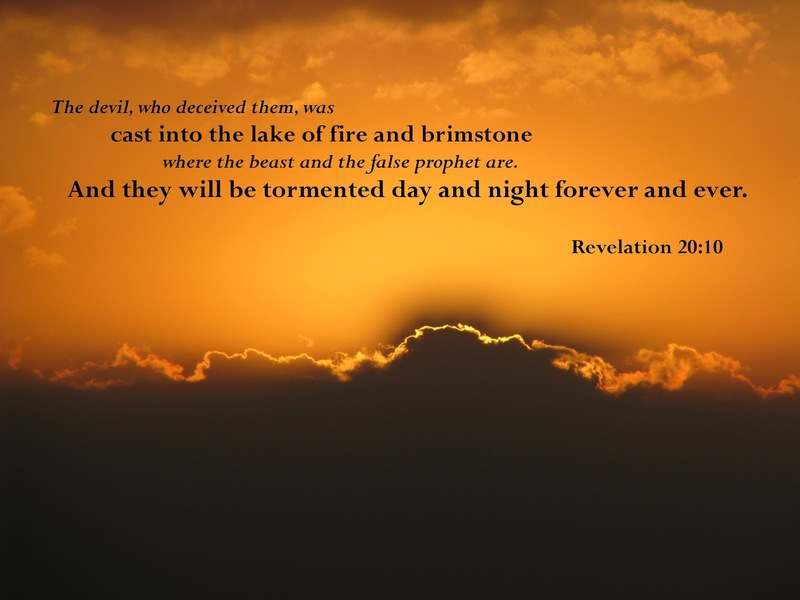 This time, “every eye will see Him” (Revelation 1:7), as He comes to bring inescapable judgment. The exalted King is not coming alone. The armies of heaven—who are clothed in the fine linen of the bride of Christ (Revelation 19:7-8)—are following Him on white horses. If you are a Christian, you will be in this army of saints and angels. This describes the fulfillment of the promise that says believers are going to rule and reign with Him (Revelation 5:10). One day, Jesus will literally reign on this earth as King. But even before that time, He comes to rule in the heart of every believer. Sometimes Christians try to keep Him exclusively in the role of Savior, but salvation is just the beginning of all the blessings the Lord has in store for us. Only in submission and obedience to Christ’s authority will we be transformed into His image and live a life worthy of His rewards (Revelation 22:12). In all practicality, who is the king of your life? Who is it that guides your decisions and directs your path? The Creator has a plan and purpose for your life, which can be discovered only by living under the authority of Jesus Christ. May His kingdom come and His will be done—on earth and in your heart. Many scholars believe that the episode reported in Luke 16:19-31 actually happened, that it is a true story. If it is a parable, it is not identified as such, and it is the only one in which the name of a participant is given. Christ related the story as if it were true. But whether history or parable, we can learn much from the contrast between these two dramatically different men, their deaths and destinies. The rich man, of course, surrounded himself with luxury (v. 19) while Lazarus struggled each day just to survive until the next poverty-filled and pain-wracked day (vv. 20-21). No one can escape the grave, however, and in the passage of time, both died. But, rather than reducing those two different individuals to the commonality of death, their differences actually are heightened. The rich man, “being in torments” (v. 23), was aware of the comfort of Lazarus in “Abraham’s bosom” (v. 22). The interchange between the rich man and Abraham, and the timeless instruction Christ gave, are well known. We will now read a part of Psalm 119, that longest of the Psalms, which Luther professed to prize so highly that he would not take the whole world in exchange for one leaf of it. Bishop Cowper called it “a Holy A Alphabet.” Philip Henry recommended his children to take a verse of it every morning “and meditate upon it, and so go over the Psalm twice in a year, and that will bring you to be in love with all the rest of Scripture.” May such an excellent result follow our reading. Men defile themselves with sin: the only clean walking is in the path of obedience. Such holy walkers enjoy a blessedness which neither wealth nor rank could bestow upon them. This Psalm, like the Sermon on the Mount, begins with benedictions. Our holy religion teems with blessings. Where the whole heart loves the testimonies of God, the whole life will be sanctified, and no habit of evil will be tolerated. Yet even those who keep his testimonies, have still need to seek him more and more. They are perfect in intention, but absolute perfection they have not attained. What a mercy when God’s precept and our prayer tally so well. These two verses show us that what God would have his people to be, they also desire to be. He works in them to will, and then they will do his will. True obedience does not pick and choose, but delights in all the statutes of the Lord. If we begin to set aside one of the precepts, where shall we stop? The only way by which a man can fearlessly defend his profession against all accusers, is by rendering a sincere obedience to all the commands of God. What need there is of grace for all this. God’s worship should be the product of all our learning. Prayer is the helper of study, but praise should be the object and result of it. The resolve is good, but it needs the prayer to accompany it. The last sentence should be on our lips every day. What a calamity it would be to be deserted of the Lord! This verse contains a weighty question and a satisfactory answer: let all young people lay both of them to heart. Grace in the heart is the young man’s best life insurance. Those who are most fervent in religion are the most afraid of failing in it. Their anxiety is wise. However good our intentions may be, we cannot preserve ourselves from sin. The most ardent seeker will soon become a wanton wanderer unless the grace of God prevent. The best thing in the best place, for the best of purposes. Can all in this family say what David here declares. He gives God glory, and asks God to give him grace. Prayers and praises make a sweet mixture. Those who can speak should speak. Eloquent tongues should never be idle. In the last verse he says that he had edified others, and in this he rejoices that he had entertained himself. What the heart delights in, the memory retains. A warm heart forgets not the Lord’s word. Is our heart warm? Ruled and guided by thy word! Every dictate of thy will. How Would You Like To Receive a Fresh Anointing? How would you like to receive a fresh anointing of the Holy Spirit on your life today? If your answer is yes, why don’t you go before the Great Anointer and allow Him to give you that fresh anointing? This is precisely what David was referring to when he said, “… I shall be anointed with fresh oil” (Psalm 92:10). 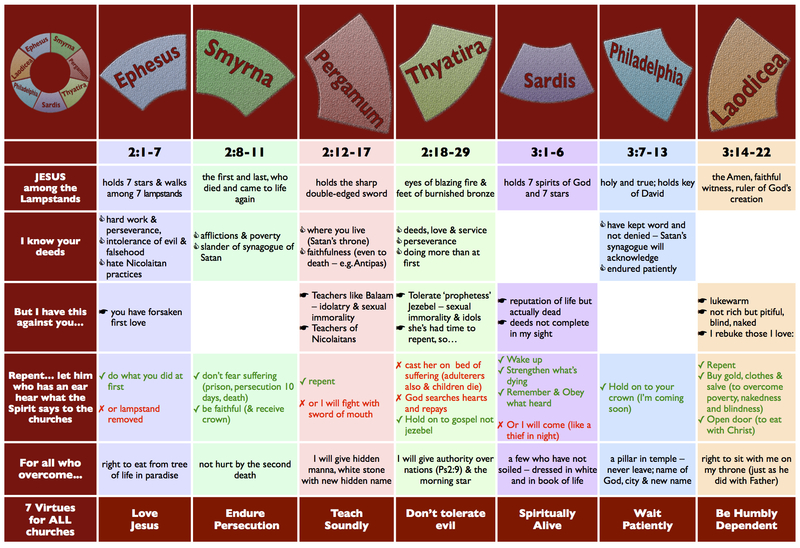 The word “anoint” that is used primarily in the Old Testament Septuagint and the Greek New Testament comes from the Greek word chrio. This word originally denoted the smearing or rubbing of oil or perfume upon an individual. For example, if a patient came to see his physician because he had sore muscles, the physician would pour oil upon his own hands; then he would begin to deeply rub that oil into the sore muscles of his patient. That penetrating application of oil would be denoted by the Greek word chrio. So technically speaking, the word “anoint” has to do with the rubbing or smearing of oil upon someone else. When I hear the word “anoint,” I immediately think not only of the oil, but of the hands of the Anointer! Oil was very expensive in biblical times; therefore, rather than tip the bottle of oil downward and freely pour it upon the recipient, a person would first pour the oil into his hands and then apply it to the other person. For this reason, I refer to the anointing as a “hands-on” situation. It took someone’s hands to apply the oil. Let’s consider this concept in the context of God anointing our lives. God Himself—the Great Anointer—filled His hands with the essence of the Spirit and then laid His mighty hands upon our lives, pressing the Spirit’s power and anointing ever deeper into us. So when we speak of a person who is anointed, we are actually acknowledging that the hand of God is on that person. The strong presence of the anointing that we see or feel is a signal to let us know that God’s hand is personally resting on that individual’s life. Therefore, if you would like a fresh anointing of the Holy Spirit upon your life, you must come before the Great Anointer! He alone can give you what you need. Open your heart to God, and allow Him to lay His hand upon your life in a new way. I guarantee you, a strong anointing will follow! Lord, I am asking You to lay Your hand upon me in a brand-new way today. Rub the oil of Your Spirit deep into my life—and let the powerful fragrance of the anointing be felt, sensed, and seen by others who are near me. I want to carry Your power and demonstrate the aroma of Your Presence, so please lay Your hand on me today and let the anointing deeply penetrate me! I confess that God’s hand is on my life. Because of this, the Spirit of the Lord rests mightily upon me. Just as He anointed Jesus, I am also anointed to preach the Gospel to the poor; to heal the brokenhearted; to preach deliverance to the captives; to give recovery of sight to the blind; and to preach the acceptable year of the Lord. I carry the power of Jesus Christ, and I give off the aroma of God’s Presence! Can you recall a moment when you really knew the hand of God came upon you? When that happened, what were the immediate results? How long has it been since you experienced a fresh anointing of the Spirit? Where were you when God’s hand last came upon you in a dramatic and spectacular fashion? If someone were to ask you to explain the anointing to them, what would you say? After thinking about this, try to write your answer down so you’ll be better prepared the next time someone asks you this question. Is It Possible To Live A Righteous Life In A Godless Environment? The answer of course is “YES!” Daniel of the Old Testament is probably our best example of someone who did it with class. You may remember that as a Jewish lad, Daniel, along with his three compatriots, was taken captive into wicked Babylonia. Throughout his life, he demonstrated God’s faithfulness by choosing to live righteously amidst life-threatening pressures to conform otherwise. HERE’S THE BOTTOM LINE: Daniel lived in Babylonia, but Babylonia did not live in Daniel. 1. DETERMINATION — Daniel determined in his heart not to eat the king’s defiled food. QUESTION: Working as many of you do in the market place where compromise is a daily occurrence, have you determined in your heart to not take the first step toward defilement? 2. DELIVERANCE — Daniel chose to believe God for deliverance amidst humanly impossible circumstances. QUESTION: Are you willing to take steps of faith (when warranted) that could cost you an account, diminish your production, or otherwise adversely affect your career? 3. DEPENDENCE — In times of crisis, Daniel chose to be dependent upon his compatriots. 4. DECENCY — Daniel chose to live a life of uncompromising decency.